Welcome! 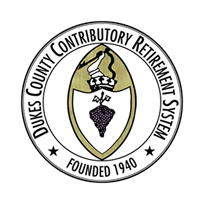 The Dukes County Contributory Retirement System is pleased to offer this website to provide critical information to our active members, retirees and their families. We hope you will visit this site often and utilize the tools and resources on this site to assist you in your retirement planning and beyond. Our office is located at 9 Airport Road, Suite 1 in Edgartown, Massachusetts. You can reach us by phone at (508) 696-3846 or by fax at (508) 696-3847. Member Annual Statements were sent out in March. Please be sure to check your beneficiaries! If you are looking for your year end health/dental insurance contribution amounts, please contact the Treasurer or Benefits Administrator at the Town/Unit from which you retired. The Board will be voting on a COLA for Fiscal Year 2020 in the upcoming months. Check back for updates!